Enjoy a day or an hour exploring Devou Park and surrounding neighborhoods on a bicycle. No matter your age or ability, we’ve got exactly what you need. All Covington residents will receive 50% off rentals with valid ID. Add 6% sales tax to all rentals. Tandem, cargo, classic dutch, road, full suspension, and ebikes for adults at all levels. Kids balance bikes for those unable to pedal, single speed on and off road bikes, and multi-gear front suspension mount bikes. 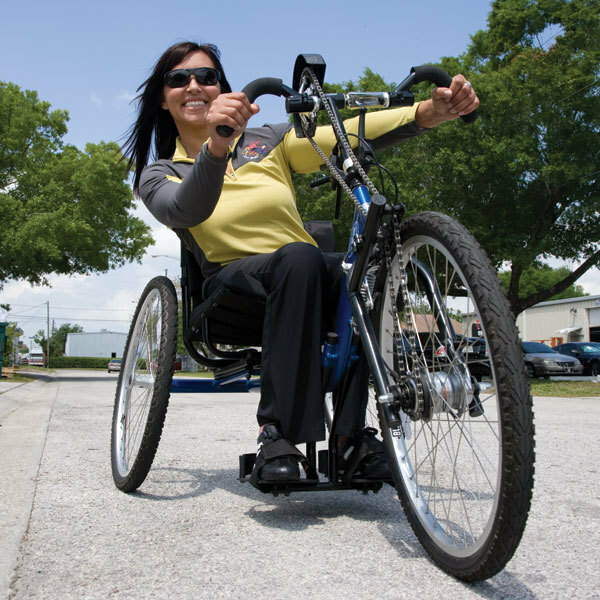 Hand powered and foot powered bikes and trikes for people of all abilities.